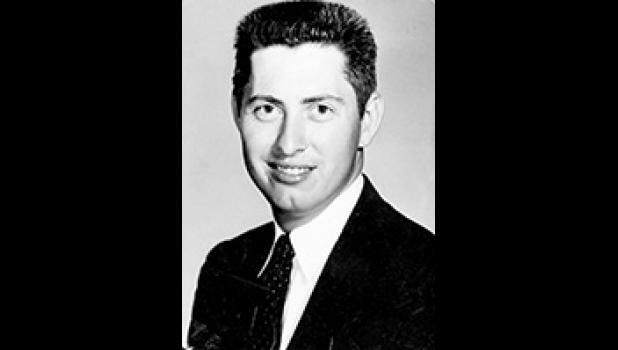 Home / Obituaries / Clint Wallace Green, Sr.
Clint was a graduate of and varsity basketball player for Greer High and served in the United States Army in the European Theatre in WWII. He and his beloved wife of 45 years, Suzanne, lived and raised their three sons in the Greer community, donating much of their time and energy to various charities and to the Episcopal Church of the Good Shepherd, where Clint served on the vestry, was a faithful choir member and the “slugger” on the church softball team. As a self-made Greenville businessman, he owned and operated Armstrong Supply Corp. for over 30 years where he made many lasting relationships nurturing the growth of his clients’ businesses. After retirement, he and Suzanne moved to Lake Mollirene in Travelers Rest where they enjoyed many idyllic years together. For the last few years, Clint lived in Greenville with his youngest son and his partner, Clint, Jr. and Herbie Foster. There he was lovingly cared for, with great dedication, until his passing. Clint was one of the last of the “Greatest Generation.” He loved his family and wide-circle of friends, especially his Friday morning breakfast group, the Greer Mill Boys; he was a generous man and surrogate father to many. Clint was a “Master-hand-squeezer” as well as an aficionado of nice cars, March Madness, homemade peach ice cream, cigars and fine chocolates (just to mention a few). He was predeceased by his parents and two sisters, baby June and JoAnn McAbee, of Greer. He is survived by his brother, Jack Green (Margo) of Greer; sons, Jack Dyer (Ilene) of Travelers Rest, Jim Greene (Rhett) of Landrum, and Clint, Jr. (Herbie Foster) of Greenville; grandchildren, Mathew Dyer (Julie) of Cleveland, Ohio, Sarah Hanson-Granger (Jon) of Asheville, North Carolina, Jay Greene of Atlanta, Georgia, Jonathon Greene of Tryon, North Carolina, and Alexander Greene of Landrum; great-grandchild, Max Granger of Asheville, North Carolina; and many nephews and nieces. The family would like to give special thanks to his brother, Jack, and family for all their love and support over the years; additionally, to caregivers Chanda Stevens, Amy Miller and Nancy Sheriff. A Celebration of Life will be held on Saturday, Sept. 29, at 11 a.m. at 301 Lanford Circle, Travelers Rest, SC.